Profile | ACC Past President Eliot Corday, MD, MACC, was born in Prince Rupert, British Columbia, and served in the Canadian Air Force during World War II. In his early medial career he trained with Nobel Laureate Dickenson Richards, MD, and later with Arthur Master, MD, in the development of cardiac stress testing. In 1949, as the ACC was being founded in New York City, he moved to Los Angeles’ Cedars of Lebanon Hospital (later Cedars-Sinai) where he became the private physician of many luminaries of that era, including William Randolph Hearst and General Omar Bradley. His very early membership in the College added prestige and contributed to its rapid growth. In November 1962, just months after opening the nation’s first coronary care unit (CCU), Hughes Day, MD, FACC, described his earliest experiences and showed a movie of his new unit at a Los Angeles conference attended by Corday. The potential national impact of CCUs on the nation’s epidemic of heart disease was immediately apparent to Corday, and he resolved to do something about it. As Day recalls, “Corday saw the possibilities of the idea and became one of the outstanding leaders in the field of training.” Corday lobbied his own hospital to create a CCU, which became one of the first in the U.S.
Corday was influential in the ACC and pushed the organization to become involved in creating CCUs around the country. In less than a year the ACC emerged as a powerful advocate by publishing the full text of Day’s Los Angeles lecture in its journal. 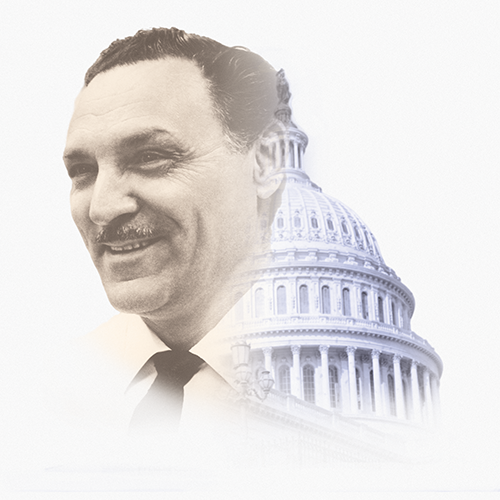 When Corday acceded to the ACC presidency in 1965, he first established and then chaired the ACC’s Special Committee for Liaison with Congress, the Surgeon General, and the National Institutes of Health. With Houston surgeon Michael DeBakey, MD, FACC Corday became cardiology’s most influential advocate on Capitol Hill, playing a central role in the creation of the Heart Disease, Cancer, and Stroke Amendments of 1965. For years thereafter, a photograph of Corday looking over President Lyndon Johnson’s shoulder as he signed the law hung in Corday’s private office. Called the Regional Medical Programs Act, it included a plan to train physicians in coronary care throughout the country by assisting in establishment of regional cooperative arrangements among medical schools, research institutions, and hospitals for research and training (including continuing education) and for related demonstrations of patient care. In December 1965, Corday convened the second-ever Bethesda Conference, with training that dealt with techniques for the CCU. The ACC brought together preeminent cardiologists and national leaders for a multi-day discussion of CCUs. To attend, the invitees had to commit to creating a series of documents at the conference. He invited Day to chair the conference. Among the doctors later recognized as pioneers in CCU care were Lawrence Meltzer, MD (Philadelphia Presbyterian Hospital), Thomas Killip, MD, FACC (New York Hospital), Bernard Lown, MD, FACC (Peter Bent Brigham Hospital), and HJC Swan, MD, PhD, MACC (Los Angeles, Cedars-Sinai). The landmark ACC document produced at the conference defined the future parameters of CCU design, nurse staffing, and methods of cardiac resuscitation. Corday then brought the Bethesda Conference report to the attention of his extensive political contacts, particularly Alabama’s Senator Lister Hill, the Senate’s leading health care advocate, and Washington’s immensely powerful public advocate Mary Lasker. By the end of the decade, the political and health care forces mobilized by Corday and the ACC resulted in the establishment of more than 200 CCUs throughout the country. In 1969, as CCUs mushroomed in the nation’s hospital, the 6th Bethesda Conference was dedicated to early care for the acute coronary suspect. The ACC facilitated a new era for the treatment of myocardial infarction. In the early 1970s, he helped plan and set up the ACC Heart House in Bethesda. As ACC Historian Bruce Fye, MD, MA, MACC, writes, “Corday thought the College could play a vital role in overcoming the time lag by coordinating occasional meetings on cardiology topics between government officials and nongovernment experts.” He advised U.S. presidents and congressmen during the most crucial era of cardiology’s spectacular growth. He was also cardiology’s premier international ambassador. The profile above of cardiovascular giant, Eliot Corday, MD, MACC, is excerpted from the forthcoming book The Past is Prologue: The American College of Cardiology — 65 Years of Cardiovascular Innovation, authored by James S. Forrester, MD, FACC, and John Gordon Harold, MD, MACC. The book will be available at ACC.14 in Washington, DC.